Well known scholar and astrologer Pandit K. B. Parsai, and his son Pandit 0. 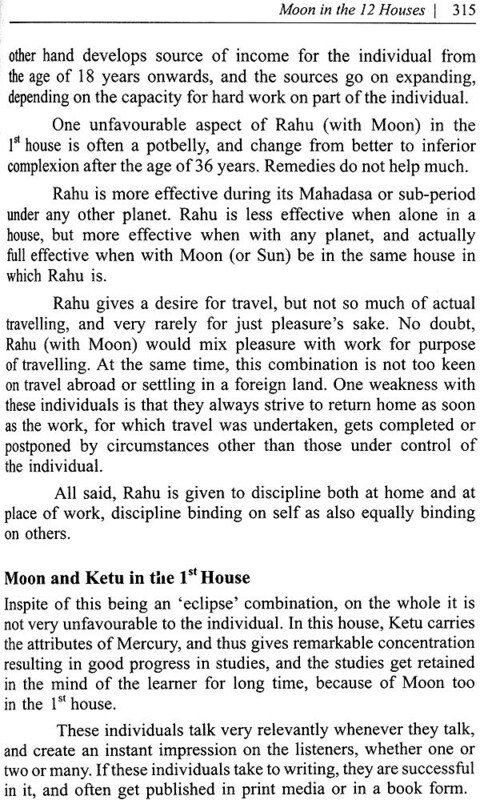 K. Parsai, present a definitive, rare and exclusive work on astrological guidance and “predictive-sutras” never before passed beyond father to son or guru to chosen disciple. 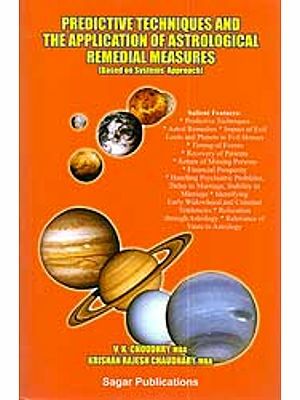 This book is a collection of three books - the first part gives an introduction to Astrology, the second part details the subjects to be considered for making predictions under each of the twelve Houses in the birth chart and the third part gives the effect of each planet, including its combination with another planet in the twelve Houses. 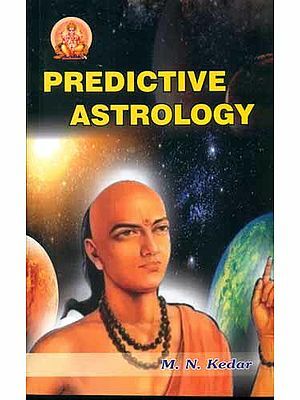 Replete with examples, personal observations and experience ranging from the erstwhile Indian states of pre-Independence era to the twenty-first century, this book presents the technical aspects of Predictive Astrology in simple, easy-to-follow language for the average reader besides being of immense value for the student of astrology and experts. Pandit K. B. Parsai (1922-2009) came from a renowned family of Madhya Pradesh (India) with a rich heritage of twenty-five generations of expertise in astrology. His ancestors have been astrologers for several Indian royals. Pandit K. B. Parsai was a double MA, Sahitya Ratna and had a high degree in Dharma Shastra. Besides his father Pandit Bhawanishankarji, Pandit K. B. Parsal learnt the nuances of astrology from State Court Astrologer of Sitamau (MP, India) Pandit Nathulalji Dwivedi, whose daughter, Krishna Kumari, he married later. He retired as Director in the Cabinet Secretariat, Government of India. 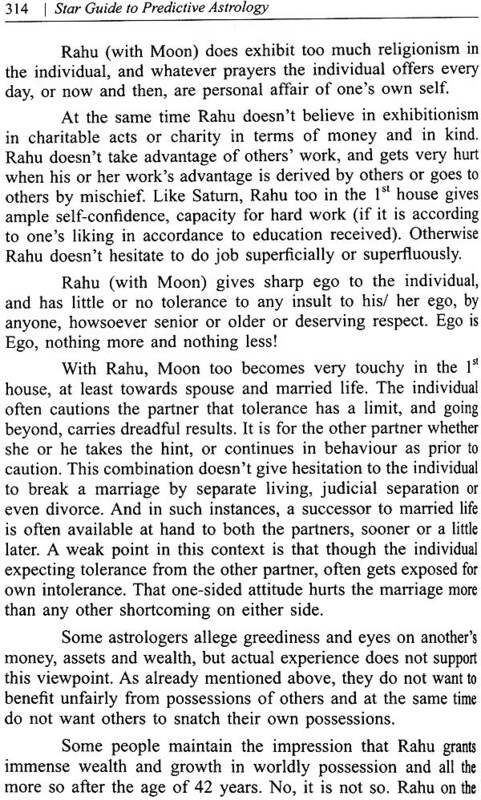 He wrote the weekly astrological column for major Indian dailies. Amongst his other published books are Star Guide to Love & Marriage, Star Guide to Winning Election and Star guide to Niryana Table of Houses. Pandit D. K. Parsai, youngest son of Pandit K. B. Parsai, is carrying on the tradition of astrology in the Parsai family. He has completed his B.Com(Hons)from the university of Y Delhi, PG in Marketing Management and Post-Graduation in Computers from the United States of America where he lived for sixteen years and worked for a premier software company before returning to India to be with Pandit K. B. Parsai. He has gained a fine reputation in India and abroad for the accuracy of his predictions. Along with Pandit K. B. Parsai, he has co-authored books on astrology including Star Guide to Niryana Table of Houses and Star Guide to Winning Elections. He is presently working as Project Director with a premier IT company in India and lives in Noida. Knowledge is immortal and must live forever. So does Pandit K.B. 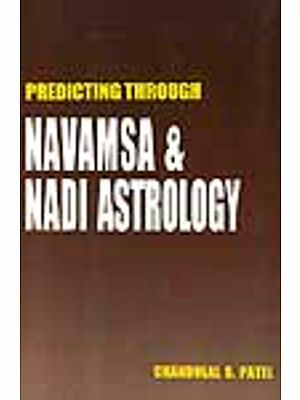 parsai’s immense and exceptional knowledge of Astrology in the books written by him, and in me, his son Pandit D.K. Parsai, in a family legacy I am proud to inherit. With deep sadness I share that Pandit (Kanhaiyalalji 3hawanishankar) K.B Parsai, one of the greatest scholars of Astrology, Dharam Shastra and life itself, passed away during brahma Muhurt on July 16, 2009, in New Delhi, barely a few weeks after finished writing a book on Saturn — Star Guide m Saturn Transit of Saturn in the 12 Rashi’s (Signs). He as determined to finish the book before he joined his partner f 56 years, my mother Krishna Kumari, in vaikunth-dham. This rarest of rare book will be published early next year. Recognizing the mortality of human beings and the mortality of knowledge (gyan,), the great educationist and r institution in himself that he was, Pundit K.B. Parsai’s greatest desire was “to leave behind my knowledge in books for people”. Time and again he told me that “a lot of knowledge, especially in India, had perished because it was not documented .id passed on to others He did not want that to happen ‘with the knowledge he had inherited through 25 generations and accumulated by him since the age of 13 years at the feet of his other, Pandit Bhawanishankarji Parsai, and father-in-law Pandit Nathulalji Dwivedi, in a small village in Central India. He put into practice, in the leaves of the various books he wrote, his firm belief of sharing his knowledge in the tradition of Vasudhaiva Kutumbakam (the whole world is my family). He was happy that ever since this books Star Guide® to Predictive Astrology was first published in 2001, it rekindled the interest of many laypersons and students of Astrology who all have learnt immensely from this book. 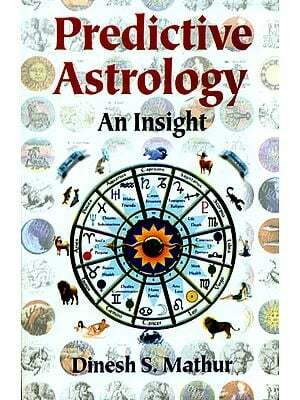 For the layperson it is a book for self-analysis of their horoscope and for those interested in the study of Astrology, it is an invaluable tutor and guide, giving insightful information about the science of Astrology. 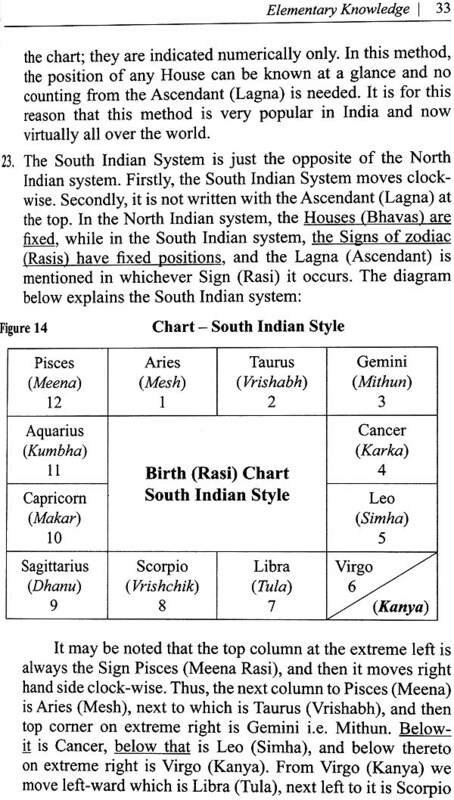 You cannot turn any chapter without getting some incisive information into the various aspects of Astrology that was honed specially by Pandit K.B. Parsai through his practical experience of over 70 years, along with our ability to relate the ancient science of Astrology to current times and situations. 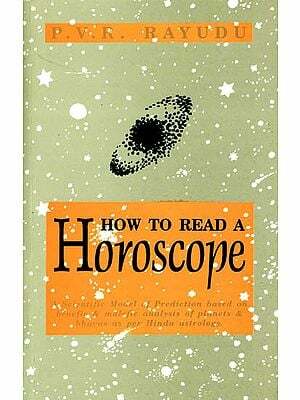 It was most satisfying to him when others came to him reporting that many had become amateur Astrologers by studying and understanding the principles detailed in this book. How-ever, it is truly a sad comment on today’s times that white pulp fiction are sold for thousands of rupees, rare treatise containing unprecedented knowledge such as thus, are sold for a lark. Yet plagiarising and piracy of such books is rampant. So if you have received a copy of this book any other way, please get rid of it and go to your nearest book store and buy a copy for yourself. Let this be your “guru dakshina” to the great scholar and teacher Pandit KB. Parsai, who shared his knowledge with you without any restraint or hesitation It is most befitting that I dedicate this edition to my father, Pandit K.B. Parsai, along with my mother, Shrimati Krishna Kumar Parsai. This book—the sixth in the series of STAR GUIDE from the PARSAI FAMILY—is born from the recognition of the mortality of human beings and the immortality of knowledge (gyan Normally the concepts and precepts of an ancient knowledge like astrology, particularly the predictive side) are passed on from the father to his progeny; in other words, kept a closed family secret. But I, born in a small village of Laduna in Madhya Pradesh , who had to struggle hard to acquire knowledge and educate myself to obtaining double M.A. and Sahitya Ratna, believe that knowledge must be spread and passed on to generations of people in the tradition of Vasudhaiva Kutumbakam’ (the whole world is my family). Let me make it clear that despite controversies, astrology— the scientific study of the influence of the visible planets in the cosmos on the life and events on earth, based on mathematical calculations of their placement at the time of an individual’s birth—is under no threat of becoming extinct. The kind of people irrespective of their class, religion, background and nationality seeking astrological guidance, is incredible. Whether considered a science or an art, a craft or a skill, astrology is here to stay and my co-author son, Pandit D. K. Parsai, an IT professional based in USA, and I have explained in great detail in the forthcoming chapters, why so. At 79 years of age today, I have attempted to include in this work much of the experience, knowledge and wisdom acquired by me from 13 years of age, from 25 generations of astrologers in my family and it looks Pandit D. K. Parsai will carry on the tradition. As in any other field, there are people who are genuinely knowledgeable and those who feign to be so. This book should enable readers to differentiate between chaff and the grain. The book was conceiyed two years ago, but it assumed an urgency after the passing away of my beloved wife, Krishna, my companion of 56 years, on the most auspicious day of Akshay Navmi on November 5, 2000. Indeed her c has been the guiding hand in completing this work in record time for release on her first anniversary. Krishna herself was the daughter of the widely known Raj-jyotislii of his times from the erstwhile princely State of Sitamau in Madhya Pradesh, Pandit Nathulaiji DwivedL He was also my guru, along with my own father, Pandit Bhawani Shankarji Parsai, who was famous for about 90 per cent accuracy of his predictions. Many times while writing the book, I turned around to seek Krishna, only to realise that now she lives only in spirit. For readers new to astrology, the science of reading the stars to predict the future, it must be explained that there are two aspects to it. One is drawing a birth-chart and its various combinations as a Horoscope, and the other is interpreting it for predicting the future. 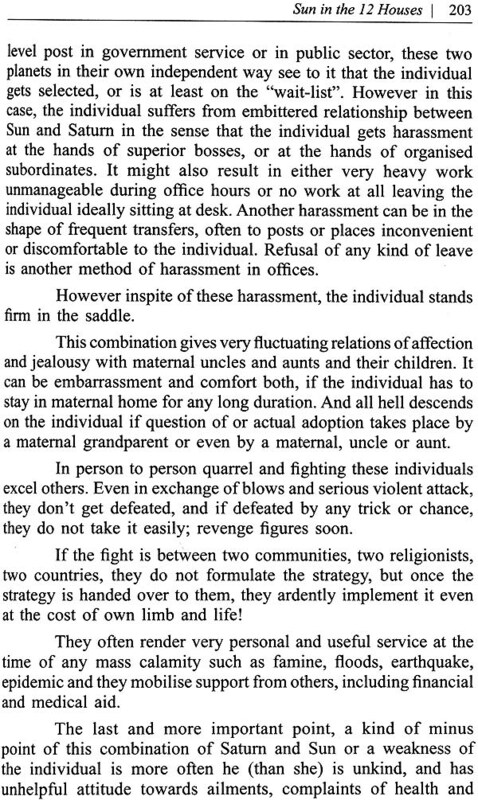 We have detailed both these aspects in this book. Most people are familiar that the zodiac is divided into twelve equal parts each representing the Sign of Aries, Taurus, Gemini and so on. It is also known that the earth rotates around the Sun but it is the Sun which appears to move around the circle of zodiac. It is this apparent position of the Sun at the time of birth of an individual that determines the rising Sign of Sun in a Horoscope, known as the Ascendent or tile starting point of the 12 houses in a birth chart. In India, the 12 Houses are known as ‘Bhavas’. 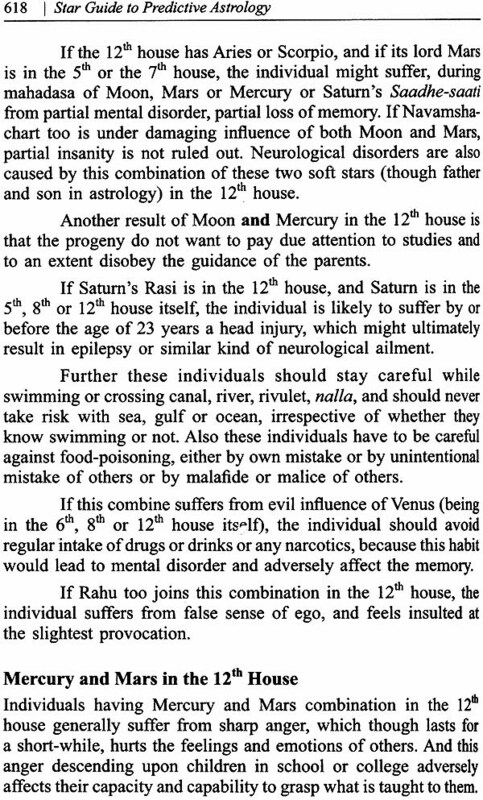 Knowledge of every event, development, progress, rise and fall, virtually every aspect of life from the time of conception of a human being, till death, and sometimes even beyond, is covered under these 12 Houses. While we have tried to cover as many subjects as affecting an individual, it is not humanly possible to enlist every minute event between the earth and the sky and it must be borne in mind that an astrologer is not a god. He/she can predict the future, not change it. 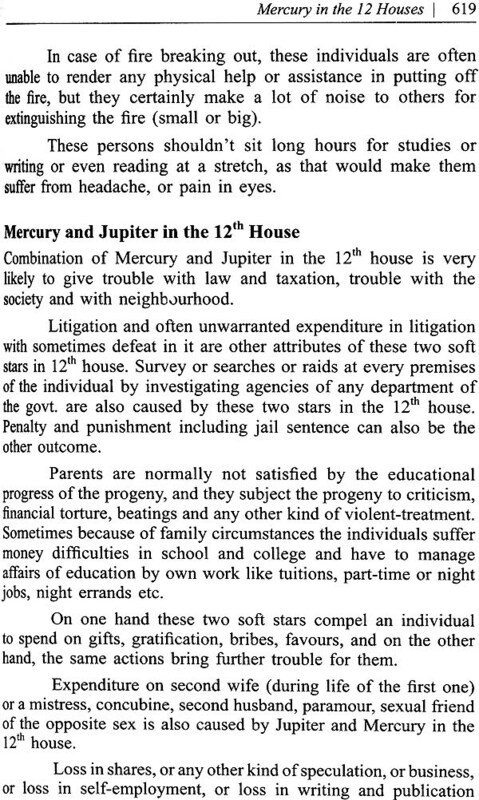 The book gives broad guidance about the rules pertaining to the subjects governed by each of the 12 Houses. 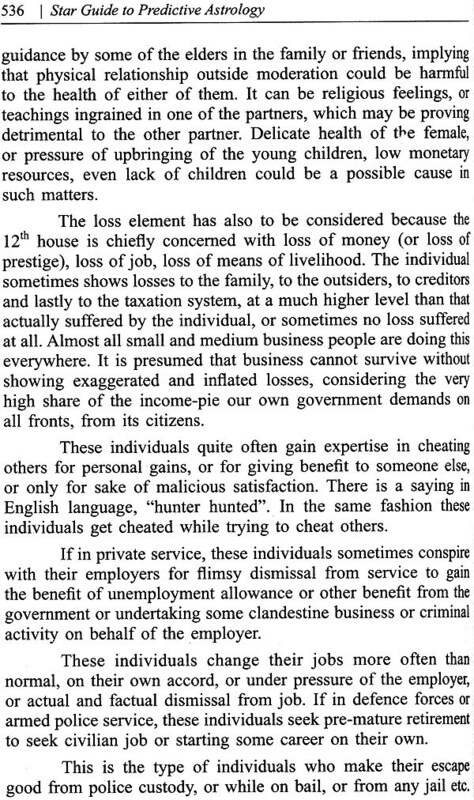 Often, more than one House is directly or indirectly involved in making accurate predictions on a particular subject. Care has been taken to mention the co-related Houses as “Referral Houses but in this regard too, students and scholars have to devise their own rules. To give an example: conception of a child is related the 5th and the 7th House; but a safe or difficult delivery is to the 5ih 8th and the Houses. Herein lies a reason c half-baked astrologers or computer astrology going inaccurate = forecasts. There is no escaping experience and knowledge for accuracy of predictions. As in all other sciences, astrology cannot be fully learnt from books or by theory alone. A student or scholar attains greater expertise on the subject by practical work and continuous study based thereon, just as accuracy in any branch of science is also reached by experimenting through the years, be it in nuclear power r in genetic engineering. As part of this process, the student or scholar must check up the accuracy or otherwise, of the predictions given, at least in some cases by follow-up. A word about whether astrology is scientific or not, It has become somewhat fashionable these days to deride astrology publicly and seek it privately. My co-author, Pandit D. K. Parsai, has dealt with the subject at length in Introduction to Astrology. This article should clear the confusion. The problem is that the bogey of astrology being hocus pocus is not being raised by the ignorant, but by those knowledgeable people who do so only for argument’s sake. 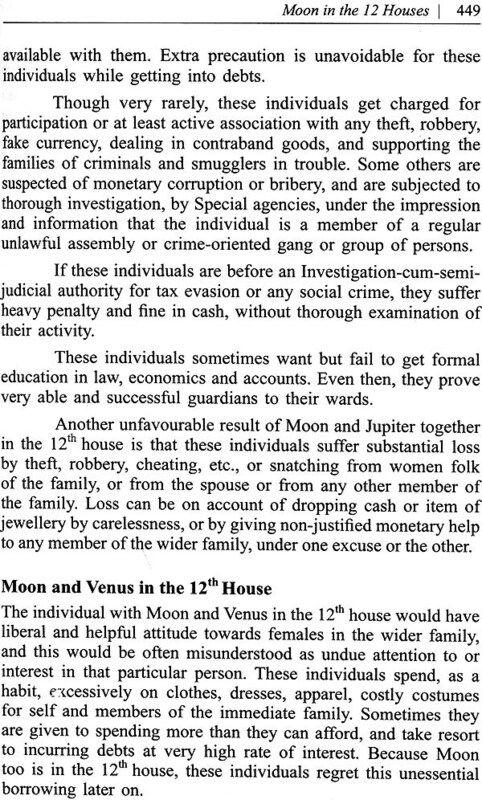 The authors have no means to satisfy such die-hard opponents of astrology. Had astrology been a superstition or hocus pocus, it would have died a natural death, instead of surviving through the centuries. What is required is sustained funding for proper and objective research on the subject in public domain. 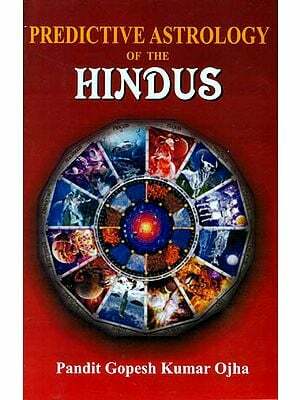 On our part, this treatise is our humble contemporary contribution in the chain of epic studies on the subject as in Farashar Hora Sastra, Garg Horn, Lagadh Muni “Rhik”, the world famous works of Aryabhatta, Lall, Laghujatak of Varah Mihir, also works of Brahmagupt, Shreepati, Bhaskaracharya, Brihaspati and many others in the ancient times, Neelkanth, Ganesh Daivagya, and several others in the medieval times, who have highly enriched the knowledge about calculations as well as predictions in astrology. It is in the fitness of things, that I acknowledge the faith in me of thousands of people from all walks of life strata and nationality who have consulted me over the years and thus enriched my experience and wisdom. These include VVIPs, scientists artists, students professionals bureaucrats industrialists politicians film stars, as also poor resourceless and the ordinary people. I also thank several friends and they know who they are who helped in various ways in the production of this book. Everyone wonders, at some time or the other, what the future holds in store for him/her; even the skeptic. Astrology is one such medium, based on established criteria, that tries to shed some light into a dark tunnel of future events. 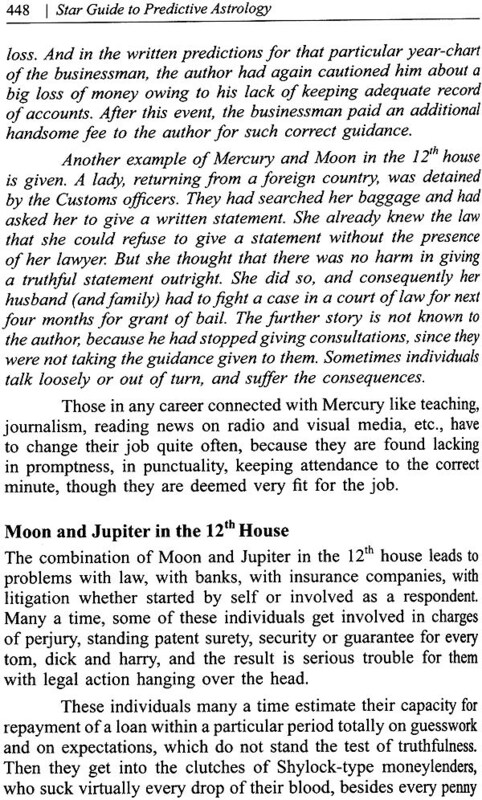 The first few chapters will give the reader a basic understanding of the subject of Astrology what it is and what it is not. It has now been, more or less, universally accepted that astrology — (Jyotish) has been in existence in India for many millenniums now, along with the Vedas. Jyotish consists mainly of two parts: astronomy and astrology. Astronomy, as defined by the Living Webster — Encyclopaedic Dictionary of English language, is the science that treats of the location, magnitudes, motions, nature and constitution of celestial bodies and structures. Or basically, charting of the motion and the nature of the heavenly bodies. Astrology is the science of effect and influences of the celestial bodies on life on earth, especially of the observable planets, and constellations considered nearer in relation to Earth. As civilisations have evolved, each generation of Astrologers have added their own research and experience to the vast knowledge, with the existing socio-economic structures of their own current as. 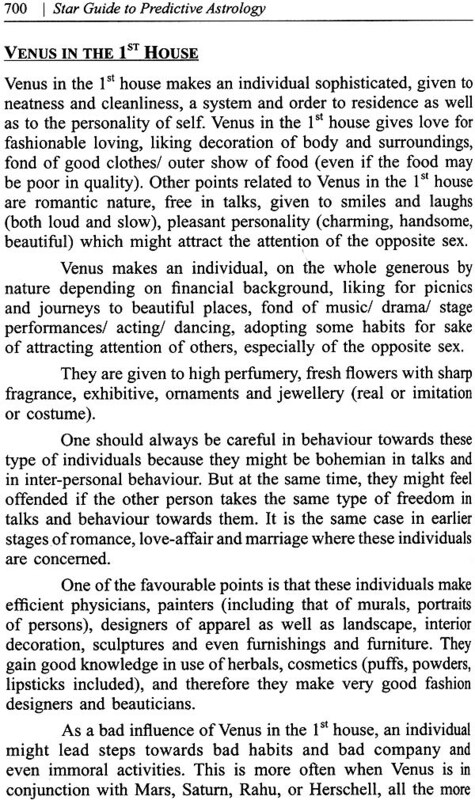 Astrology is the knowledge of relationships based on a study of planetary influences, on man and his environment. It includes the entire galaxy and is true of the planetary bodies new radiations affect each other, including the earth and all the things on it. There is no doubt that Sun has the greatest influence n the life on earth. Without it there would be no life, for without it there would be no warmth, no division into day and night, no cycle of time, no plantation and no seasons, and no life at all. The influence of Sun is clear and easy to see. The influence of Moon on the other hand, is more subtle, though no less definite. There are many ways in which the influence of Moon manifests itself on earth, human, plant and animal life. It is well known fact that large movement of water on earth, that is the flow of tides, is caused by Moon. Human body, too, which consists of 70 percent water, falls within the scope of lunar influence. The menstrual cycle of many women correspond to the lunar month; the human period of pregnancy is 273 days, or equal to nine lunar months. Many a mental illness, suicides etc. have been noted to increase during periods of lunar activity. Agriculturists have established that the Moon has a distinct influence on crops, which explains why for centuries people have planted according to the movement of Moon. Migratory birds depart only at or near the time of full Moon. Just as certain fish, eels in particular, move in accordance with certain phase of the Moon. It is been established in physical sciences that everything in the universe has an effect on everything else, and it is useful to know that this is also true about the various constellations and planets in the visible heaven. Let us see how astrology works. Astrology is based on a pure science. This may come as a surprise to many readers. But the fact is that the astrological chart is based on astronomical data. The astrological chart is the exact chart of the heavens showing the various planets, as they could be seen in the heavens at that particular time, and from that particular place on earth. If an astronomical chart were to be constructed of that time, indeed an the planets and constellations would be visible in the sky same as shown in the astrological chart. Similar charts are given everyday in newspapers. 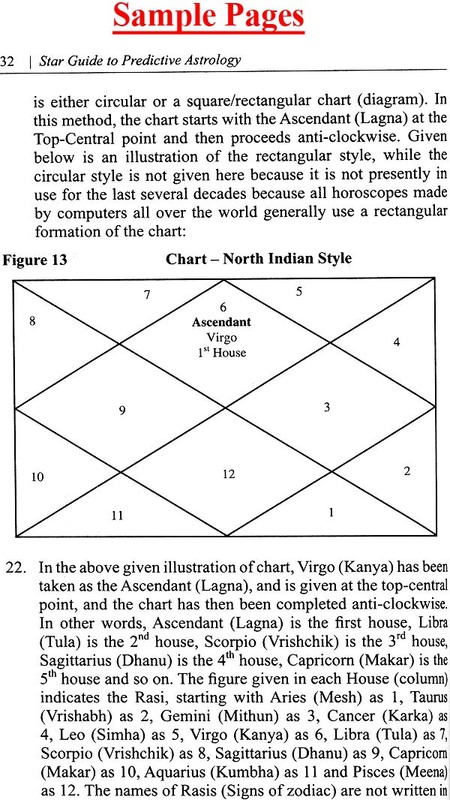 In simple terms, the astrologer prepares the chart of the exact position of the planets as could have been seen from the place where a person was born, and at the time when the person was born. Why a chart of planets when one was born? Astrology is a system of analysis, based on the effect of different planets (of our solar system) on the life on Earth. 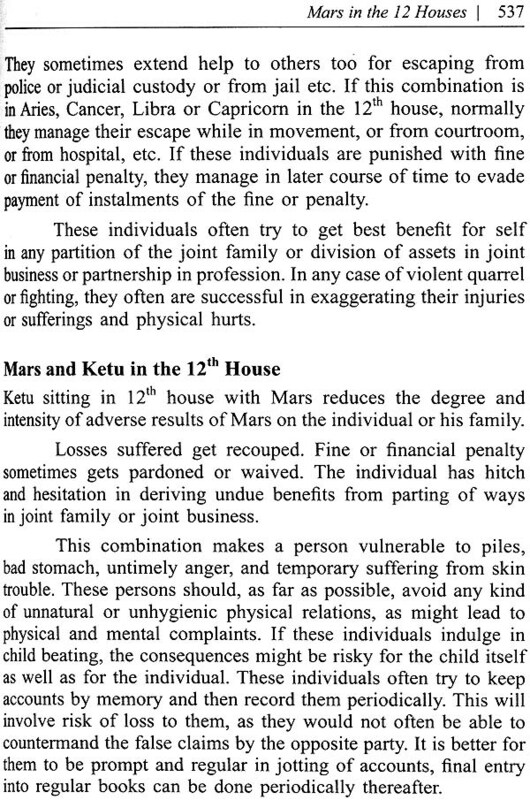 The major planets of consequence are — Sun, Mercury, Mars, Venus, Jupiter, Saturn and Moon (and also Moon’s Nodes Rahu and Ketu). 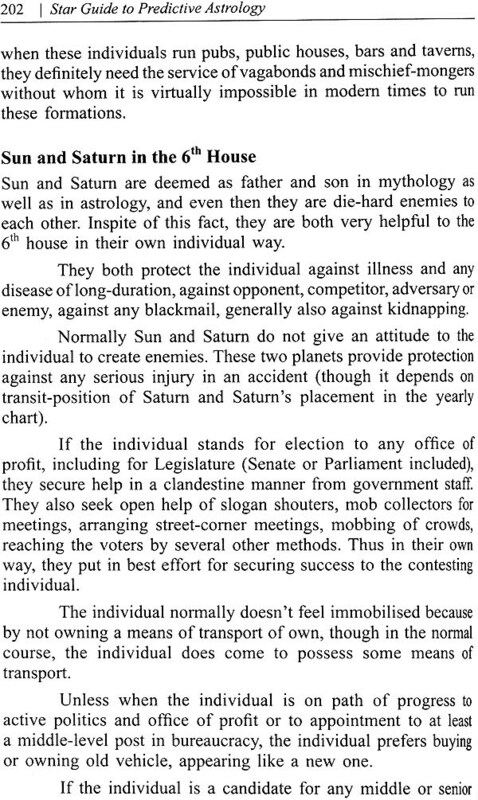 Predictive astrology is an immense catalogue of cause and effects of the various positions, combinations of the planets and constellations that have been found to influence all aspects of life rid civilisation through the ages. Because birth is the first major event of a person’s life, therefore it is indeed the starting point astrological studies too. Fundamentally, a person comes into existence at a specific time, at a specific place. This is the first time that person comes in direct contact with the external world and its surroundings, radiations, waves of the various planets and other celestial entities. 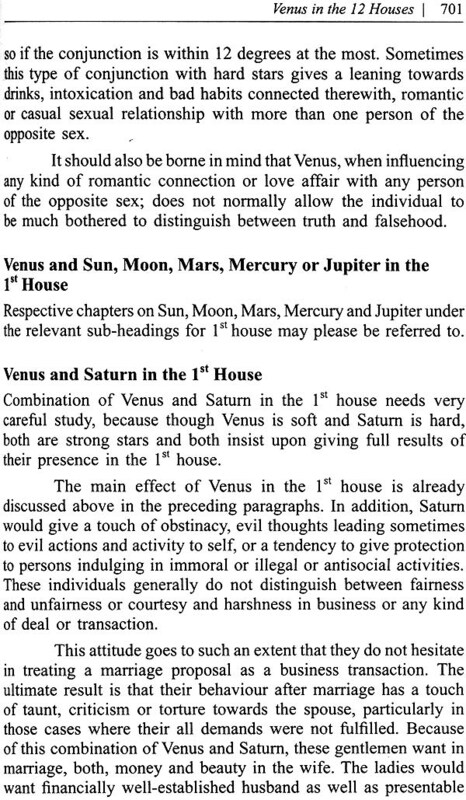 Therefore, there is this specific chart showing the positions and combination of planets that were in effect for that person, and that chart is called the birth-chart. It’s like a unique and natural identification for that individual. Time is important, but why the place? The standardisation method of Sun rising time has shown that the sunrise time varies from place to place. Just as the warmth of the sunlight, and length of the day differs at different latitudes and longitudes (like the variations prevalent from the equator w the poles), the view of the planets, and consequently, their influence too varies from place to place. With the place of birth, the positional co-ordinates get fixed for the exact planetary and celestial combinations for that particular place (location) on the globe. For very refined calculations, one can fix the co-ordinates of place in the same town or city too if one is born in a geographically large city like Mumbai, London or New York. The birth chart may be thought of as the ‘photo’ of the position of planets and the constellation ‘frozen’ at the time of the person’s birth. For the sake of simplicity, the observable sky above the earth is represented as a square or a circular space and divided into 12 parts. Each part is called a ‘house’. Daily life cycle is divided, biologically and also by convention, into a 24-hour period, with the rising of the Sun generally taken as reference indicating the beginning of a day. (By western convention, now midnight 00 hours is taken as the end of the previous day and beginning of the next day). Taking the Sun as the major observable planet (interchangeably called star for astrological purpose) around which our conventions were made, each house represents an average of 2-hour period. Thus, these 12 houses represent the 24-hour movement of the Sun in relation to the earth at any given time and place on earth. If it is night in India, it will be day in the US. This is one way to check if the birth chart is reasonably correct or not. If a person was born at around noon and the birth-chart shows the position of Sun to be at the other side of the globe, it means the chart is cast wrong. For this reason, in astrology, the place of birth, the date & time of birth are of vital importance. This data should be as accurate as possible to cast a correct birth chart. It is important to note here that many people may not have correct birth data, that is the date & time of birth, and consequently the birth-chart made for them could be from slightly inaccurate to grossly inaccurate. Like with any other science, the accuracy of the input data is very essential to get accurate output results, in this case accurate predictions. Many astrologers do not bother to check the accuracy of the birth-chart and if the birth-chart they have used for predictions is inaccurate, the predictions are bound to be wrong. This simple fact cannot be emphasised enough.